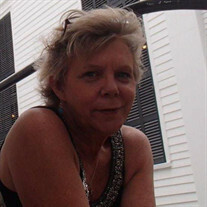 Andrea Bacot, of Apalachicola, Florida, passed away January 30, 2019, at the age of 63. Services will be held at a later date in Apalachicola, Florida. The family of Renee Bacot created this Life Tributes page to make it easy to share your memories. Send flowers to the Bacot's family.